Oh my goodness!! It's my favorite time of year!! 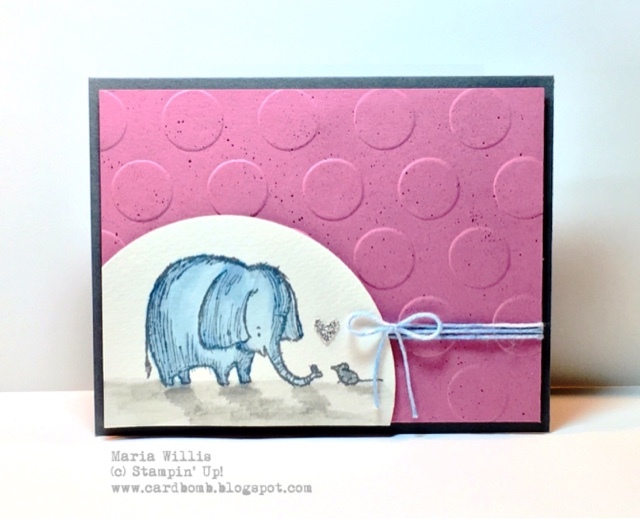 It's that time when I (and all Stampin' Up! Demonstrators) get to order early from the new annual catalog! It's so fun to get my hands on new products and share what I've had so much fun making with you all! Today I had a little time to play around with a new stamp set called Lots of Love and I love it! It's a Hostess set which means that you can only get it with a qualifying party or order. It's got some really cute little animals in this set and to me they screamed that they needed to watercolored. You're also getting a sneak peek at two of out new IN COLORS, Dapper Denim and Sweet Sugarplum. 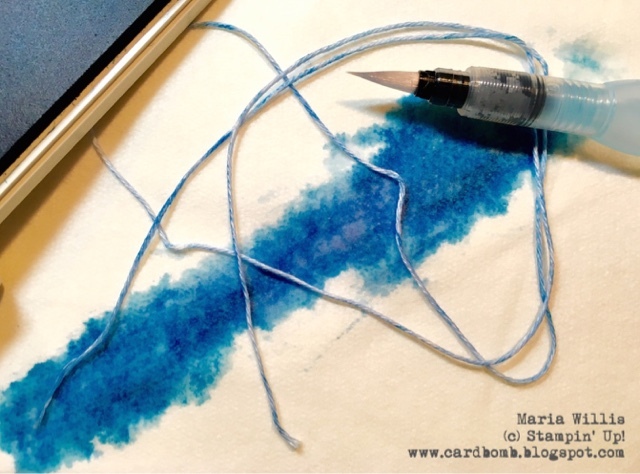 I watercolored the elephant and mouse in Dapper Denim and then I used my Aqua Painter and Dapper Denim ink to paint some white baker's twine to match. 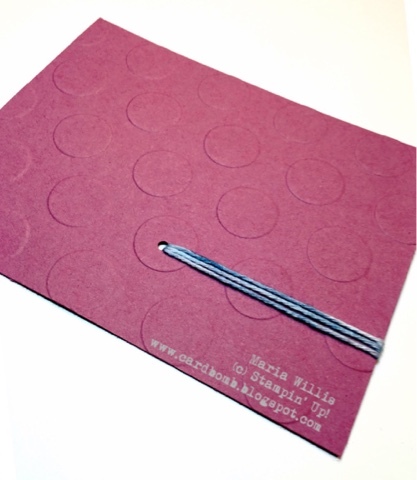 After the twine dried I punched a hole in my cardstock where my image would eventually hide the hole. I threaded the twine through and wrapped it around my cardstock. This is a great way to save twine and no one will ever even know! 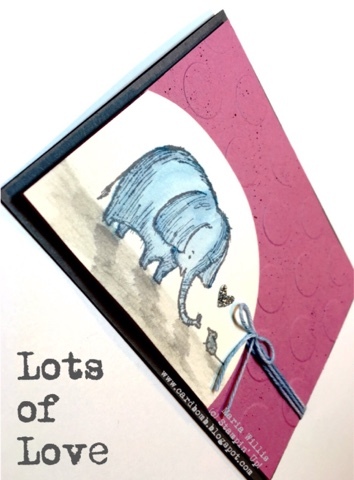 Here's a video of how I made this card and of course I show how to do the background splatter, custom colored twine, twine hoarding "punch in the middle of the card" technique, and, of course the watercolored shadow below the elephant and mouse. I hope you enjoy it! Here's another close up of the adorable elephant and his little mouse friend. Too cute I say! What do you think? I'll be sharing more sneak peeks as often as I can so please keep checking back and let me know what you think! Thanks for stopping by my blog today-I'm so happy to have you! Need more stamps/ supplies now? Never fear! I've got you covered!